This project included the demolition of an existing 3,000 SF lab for the design of a 14,700 SF addition/renovation that will enlarge the Diagnostic Imaging Department at Prescott VA Hospital in the “B” wing of Building 107. 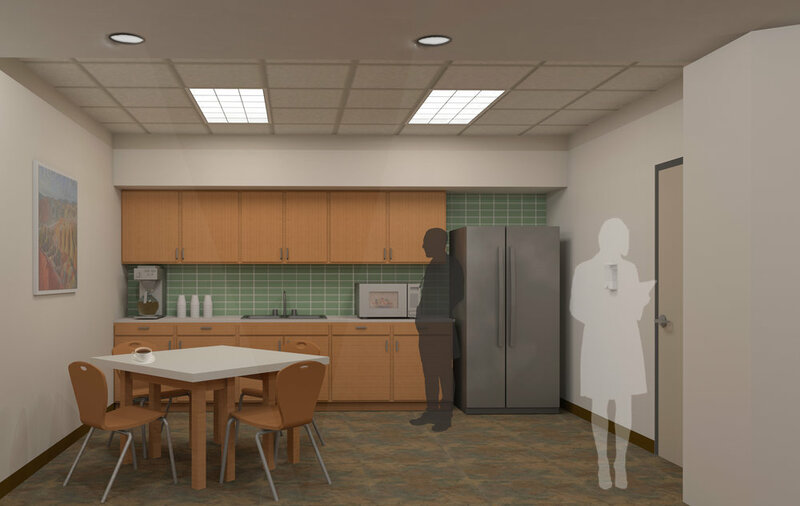 The new design will optimize the current footprint by giving it a centralized waiting room, wide hallways, and larger rooms for the efficient operation of each piece of equipment. It will also shorten the distance between the Diagnostic Imaging Department and the Ambulatory Care Department to create a more efficient path of travel for patients. New spaces include (1) CT, (1) SPECT CT, (1) Fluoroscopy, (2) General X-Ray, Radiopharmacy, and Stress Lab.